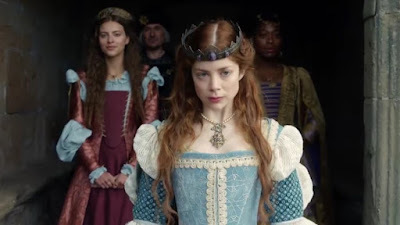 CHARLOTTE HOPE MISS SCARLET AND THE DUKE SPANISH PRINCESS STARZ WHITE PRINCESS WHITE QUEEN THE SPANISH PRINCESS EPIC TV SERIES TEASER IS HERE WITH YOUNG CATHERINE OF ARAGON! 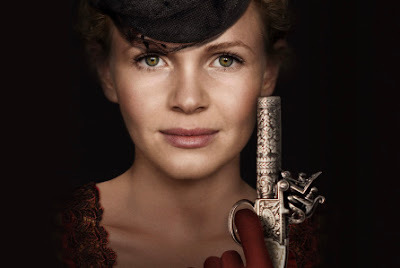 MISS SCARLET AND THE DUKE TV SERIES ON LONDON'S FIRST 19TH CENTURY FEMALE DETECTIVE! THE SPANISH PRINCESS EPIC TV SERIES TEASER IS HERE WITH YOUNG CATHERINE OF ARAGON! MISS SCARLET AND THE DUKE TV SERIES ON LONDON'S FIRST 19TH CENTURY FEMALE DETECTIVE! 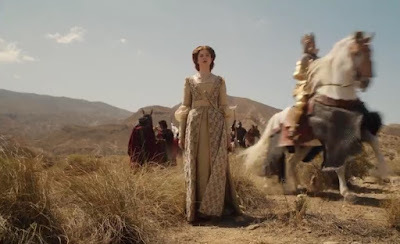 Princess, but also tease the upcoming THE SPANISH PRINCESS with a few exciting glimpses into the 2019 series which is, technically speaking, a sort of a prequel to famous The Tudors! The series is based on Philippa Gregory book! headstrong Prince Harry (Ruairi O'Connor) who will one day rule as King Henry VIII. The cast will also include Elliot Cowan as Henry VII of England, Alexandra Moen as his wife Elizabeth of York, Olly Rix, Laura Carmichael, Philip Cumbus and others. Eliza is determined to find another way and takes over his private detective agency. But she needs a partner, so she hires detective Inspector William Wellington of Scotland Yard, who is also known as The Duke, a drinker, gambler and womanizer. Eliza and Duke strike up a mismatched, fiery relationship and team up to solve crime in 1880’s London.